Normally when I review a new series I like to watch five episodes, review it, and then do a follow-up review at the end of the season. With Penny Dreadful there was no point doing this as the first season only had eight episodes. 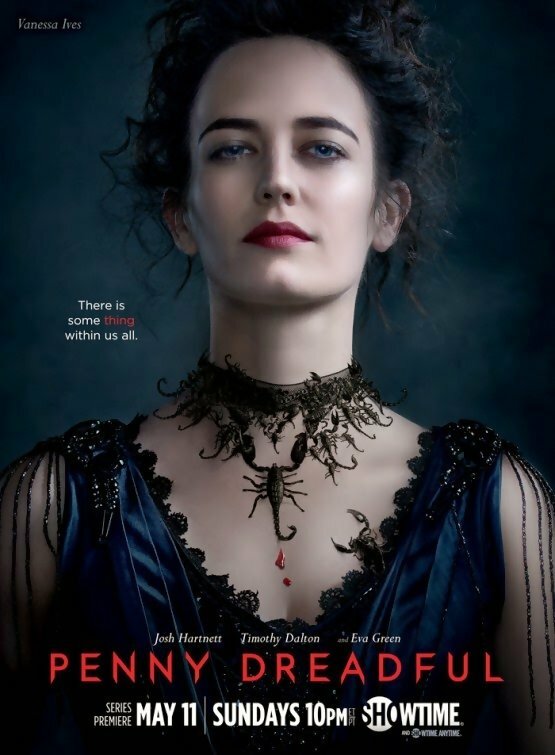 Penny Dreadful is a Showtime production that follows in the footsteps of Wold Newton, by way of The League of Extraordinary Gentlemen and Anno Dracula. It is a cross-over universe set in Victorian London that brings together the novels Dracula, Frankenstein, and The Picture of Dorian Gray, along with hints of other stories appropriate for the era. The story follows Sir Malcolm Murray, as he assembles a group to search for his daughter Mina, who has been abducted by a mysterious force. This group includes Vanessa Ives (Eva Green) a childhood friend of Mina’s who is also a medium, Ethan Chandler (Josh Harnett) an American sharpshooter who clearly has a troubled past, Sembene (Danny Sapani) an African who acts as Sir Malcolm’s manservant, and Dr. Victor Frankenstein (Harry Treadaway) who Sir Malcolm brings in for his medical knowledge. 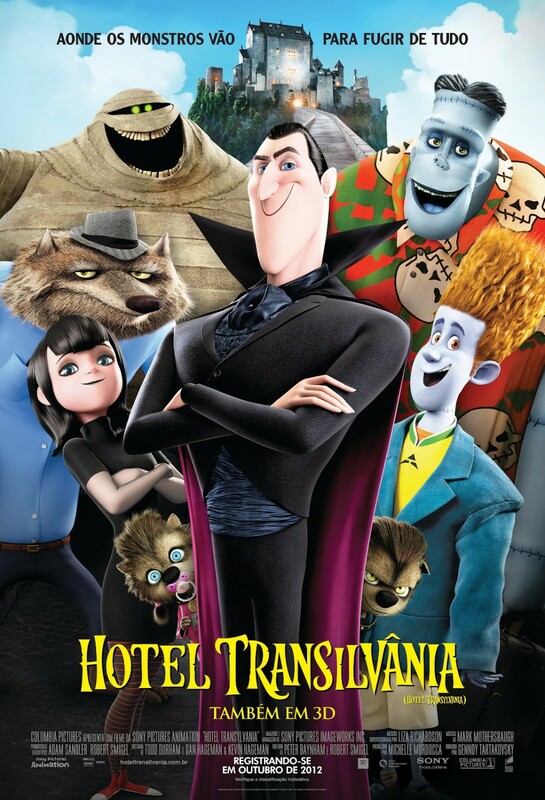 Along the way, these adventurers encounter other characters who further complicate matters: Dorian Gray (Reeve Carney), who finds Miss Ives fascinating in a way he cannot explain; Brona Croft (Billie Piper) an Irish prostitute, dying of consumption, who Ethan falls in love with; and Frankenstein’s Creature (Rory Kinnear) whom the others are not aware of, but makes his presence felt none the less. One of the strengths that Penny Dreadful has over The League of Extraordinary Gentlemen or Anno Dracula, is that not all of its characters are taken directly from the novels. In fact outside of Dorian, Victor, and the Creature, all the other main characters are original to the series. This gives the show much more freedom in how it wants to portray them. The show has also benefited from the short season. There was no filler. Scenes either advanced the story, or advanced the characters. Next season will increase to 10 episodes, but that should not do any damage to the pace. It is also clear that series creator John Logan is aware of the difference between gothic horror vs an action story using horror characters. The horror is on full display here, and the mood is pervasive. The monsters here are not portrayed as beautiful misunderstood outsiders, but as alien horrors to be rightfully feared. This is counterbalanced by watching the effect the events have on the main characters and how, in many ways, that is more horrible than the monsters themselves. The acting in the series is excellent, which isn’t surprising given the experience of the cast. What is surprising is that the standouts tend to be the lesser known actors. Harry Treadaway and Rory Kinnear give poignant portrayals to Frankenstein and his creation. They are so good that the series could just focus on them and it would still be well worth watching. This is not to take away from the other actors. Eva Green gives one of the best performances of her career as Vanessa, who is conflicted by guilt over her role in Mina’s peril, and the cost that saving her friend is taking on her. Timothy Dalton portrays Sir Malcolm as a man obsessed with saving his daughter, but blind to how his efforts are tainted by that obsession. Josh Hartnett does a fine job with his role, which is often to be the voice of reason, meaning he is often at odds with Sir Malcolm. Overall, the show does an excellent job of conveying a mood and style consistent with Victorian horror. 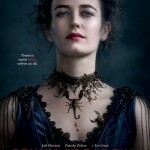 I give Penny Dreadful a final grade of B. Fans of the horror genre will enjoy it and non-fans should still find it entertaining. Say it and an image immediately pops into people’s heads. The flat head, the electrodes in the neck (that everyone mistakenly calls bolts), the green skin, the heavily lidded eyes, and the lumbering movement. And not one bit of that description appears anywhere in Mary Shelly’s original novel. No, you can thank the 1931 motion picture for the popular image of the Frankenstein monster, and for cementing him as an icon of our culture. To be fair the movie is also largely based on a stage play version, written by Peggy Webling. One of the challenges in attempting to review this film is to separate it from the very pop culture it spawned. The movie has an interesting opening. A well-dressed man steps out from behind a curtain. Speaking directly to the audience he warns them that what they are about to see may shock and horrify them. Then we go to credits. I’ll be honest; I’m not sure what is up with the credits. Behind the title of the movie is the top half of someone’s head and beams are shooting from the eyes. The next part where the cast and crew credits are shown have a swirling kaleidoscope of eyes. There are two interesting notes in the credits. 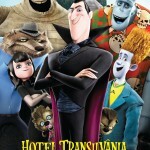 First is that the monster gets fourth billing and is billed as being played by “?”. These credits are given again at the end and “?” is replace by Boris Karloff. The other odd credit is “Based on the Novel by Mrs. Percy B. Shelly”. I have not found any reason that Mary Shelly was referred to this way. I have to assume it was just the casual sexism of the 1930s. The first part of the film details Dr. Henry Frankenstein’s efforts to create life by building a body from recent corpses and animating it by way of a new wave length of energy he has discovered. Once he succeeds, the film details the struggle of the Doctor with this new life he has created, and his creation’s attempt to understand the world he has been born too. This spirals out of control as the creature becomes violent due to abuse at the hands of Frankenstein’s assistant Fritz. Tragedy ensues leading to the monster’s demise and the Doctor nearly dying himself. So let’s start with what works. And the first thing I want to point out is the performance of Colin Clive as Henry Frankenstein. I think this role gets glossed over often, due to everyone focusing on Karloff’s performance as the monster. But the movie is as much about Henry as it is the creature. He is a man obsessed, but the foundation of what he is doing is sound. Clive has a great speech shortly after the creature is brought to life about scientific exploration and how its boundaries need to be pushed if anything is to be achieved. However, he has moments that show he is not as well hinged as he wants others to believe. He has bouts of mania and despair. A more modern film would probably come right out and say was suffering from bipolar disorder. While a little over the top for modern tastes, for the era it was a really good performance. His lines “It’s alive, it’s alive, it’s alive” and “Now I know what it feels like to be God” are classics, and often quoted. This performance set the precedent for all film mad scientists that would come after. Another stand out is Dwight Frye as Fritz, Frankenstein’s hunchbacked assistant. If Clive set the mold of the Mad Scientist then Frye set the mold for deranged lab assistant. While the level of Henry’s obsession is a slow burn at first, that something is not right with Fritz is clear from the beginning and has nothing to do with his physical deformity. Frye portrays Fritz’s madness well, and walks a fine line in playing big yet never going over the top. Every Igor that followed owes Fritz a debt. And of course you have Karloff as the monster. There is a reason that this role became an icon. Aided by the amazing make up work of Jack Pierce, Karloff portrayed the creature to perfection. The creature is both innocent and menacing. Karloff wanted to make sure that there was more going on than just a lumbering beast and he succeeded. There is a reason the creature is often portrayed as the good guy in many of the stories and adaptations that followed, and it all goes back to Karloff. You also have a fine performance from Edward Van Sloan as Henry’s mentor Dr. Walden (he also played the well-dressed man at the opening warning to the audience), who is horrified at what Henry has done, and yet can’t resist the fascination of the science, and a decent performance from Marilyn Harris as the little girl who befriends the monster only to be killed because the creature doesn’t know how strong it really is. A lot of credit for the success of the movie has to go to director James Whale. His pacing keeps the audience’s attention even 80 years later. But not everything holds up. Mae Clarke as Frankenstein’s fiancée Elizabeth is a throw-away part. Her whole purpose in the movie seems to be to worry about Henry and in turn to have him worry about her. While the subplot of their wedding helps drive some of the action, she is not a compelling character. But even worse is Frederick Kerr as Henry’s father Baron Frankenstein. He is basically a blustering old fool. He adds little to the plot, and at best seems to be comic relief. The Baron also brings up another point that does work now. Just where the hell is the movie set? In the original novel it was Switzerland, and the movie has hints of this, but it might also be Germany. That would be great but the various characters have a wide range of accents. I’m sure it comes down no one carrying about the accents that much. But if you think about it for a minute it is just weird. The sets are another issue. Specifically several outdoor scenes are clearly filmed in-studio and you can see streaks on the back drop. There was also the tacked-on happy ending. It is pretty clear that originally Frankenstein was going to die at the hands of his creation. The studio was not happy with that and had a final scene added that showed Henry convalescing with his father doddering about. In fairness, this scene left the door open for the sequel which many feel is a superior film. The legacy of this film more than makes up for the short comings I have presented. As I said before, the image of the monster from this movie has become iconic. Every Frankenstein’s monster that has come after is compared to Karloff’s. Also many of the trappings we associate with the story were started here. Nowhere in the Shelly novel is the means of the monster’s creation detailed. But the use of electricity has become common due to the films influence. The same is true of the lab assistant. In the novel, Frankenstein worked alone. I would also argue that the misunderstood monster came from here. Early scenes with the creature show that it was not inherently aggressive, and that it even wanted a connection with its creator. It was abuse from Fritz and the revulsion of Dr. Walden that made it lash out. Even the death of the little girl was not intentional and clearly upset the creature greatly when he realized she was dead. And again, Dwight Frye’s Fritz set the tone for the horror film henchman. You see this from Ygor in Son of Frankenstein to Willy Lomas in Dark Shadows and even Riff Raff in the Rocky Horror Picture Show. The same is true of Colin Clive’s Dr. Frankenstein. It’s not even worth listing them all. Look at a crazed or obsessed scientist in any move since and you will see echoes of Clive’s performance. Another influence is in the torch-wielding mob. This has become as much a staple as the gothic castle. And speaking of gothic castles, while this movie did not originate that, it was the first use of the castle thunder effect, and that trope it did start. I think it also needs credit for kicking off the career of Boris Karloff. His contribution to film and television is significant, and had James Whale not seen him in the Universal commissary, we would have never had him as the narrator of How the Grinch Stole Christmas. Finally, this movie is what truly kicked off Universal Horror. Even though Dracula came first, it was Frankenstein’s success that proved to the studio that there was an ongoing audience for horror. Speaking of Dracula, next time we delve into the Universal Horror vault, we will take a look at the 1931 film with Bela Lugosi. As long as there has been fiction one of the favorite tropes has been the crossover, characters from one set of stories meeting characters from another. 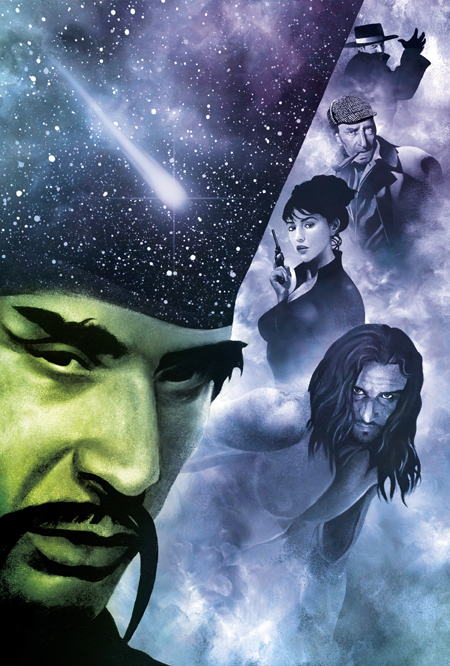 Sherlock Holmes matching wits with Count Dracula, Allen Quartermain and Captain Nemo teaming up to repel an invasion from Mars, Rick and A.J. Simon teaming up with Thomas Magnum to take down a con artist. There is a desire to see interaction between these characters. And it is not just the realm of fan fiction that these happen. The examples I used above were from various published or produced works. But there is one person who took the crossover idea to a new level, Philip Jose Farmer. In 1972 Farmer wrote Tarzan Alive. This novel was a biography written as if Tarzan had been a real person. This alone made it an interesting book as Farmer attempted to reconcile several of the inconsistencies in the Tarzan novels, such as claiming the apes that raised him were not actually apes but something closer to an African species of Sasquatch. Towards the end of the book and in his follow up the next year Doc Savage: His Apocalyptic Life Farmer formed the basis of what would come to be known as the Wold Newton Family. This concept would be an attempt to tie Victorian and Pulp era heroes together in one great shared universe. The concept takes its name from a real world event. On December 13th 1795 a meteorite fall just a few miles away from the small Hamlet of Wold Newton in Yorkshire, England. It was the first intact meteorite to be found in England and of great scientific interest. What Farmer did was to take this event and use it as a jumping off point. According to Farmer when the meteorite struck two coaches were nearby carrying a group going on holiday at a county estate. Due to some unknown effect of the meteorite’s landing the people in the coaches had their DNA altered leading to their descendants being extraordinary individuals. You may have notice some familiar sounding names in there. The idea from here is that the descendants of these individuals would be great heroes and villains. An example is the family of John Clayton. Clearly he is the grandfather of Tarzan, but as it turns out Doc Savage, James Bond and even Fu Manchu can claim him as an ancestor. Sebastion Noel’s family line includes Professor James Moriarty (who for a time went by the alias Captain Nemo), Dr. No, and Lex Luthor. Sir Percy’s family includes the Shadow. Sir Hugh’s family has Bulldog Drummond, Flash Gordon, Buck Rogers and Captain America. I could go on but why don’t you go here and here to look at the vast family trees involved. Here is a good time to point out that Farmer may have started this, but others have picked it up. It has become a literary game. People will go in and try to find connections to bring new characters into the Wold Newton family. Originally it was just Victorian and Pulp era characters but it has expanded to include modern characters from novels, TV, movies, video games and comics. Example: Indiana Jones is a Holmes as is his nephew, Daniel Jackson of Stargate SG-1. In what should surprise no one Lara Croft was one of his students. Additions have been made that incorporate Star Trek, Lovecraft’s Mythos and Doctor Who. And the monsters, oh the monsters. The amount of detail some people have gone to in order to include the Universal Monsters is truly amazing. There are chronicles for the families of Frankenstein, Dracula and Dr. Jekyll. Conceits are created to explain different versions of the characters. For Dracula the idea is introduced that he could turn a person and then imprint his mind on theirs (a process he called soul cloning). Since the process was not exact it could explain differences in how the character acts in different stories. For Frankenstein you have the idea of the family having an obsession that carries from generation to generation. And then there are the attempts to tie things together. Let’s look at the story of the creature created by Frankenstein’s Great-Grandson Frederick Frankenstein, which you will all know from the movie Young Frankenstein. According to Wold Newton Elizabeth, the fiancé of Fredrick who fell in love with creature was in reality named Lilith and was the daughter of one of Dracula’s soul clones. When Van Helsing’s organization the League of Anti-Diabolists learned of their attempt to lead a peaceful life they stepped in to help, hoping to see if monsters could be rehabilitated. They were moved to America along with Lilith’s father and given guardian ship of a young orphan named Edmond who was infected with lycanthropy. A league member Marilyn Krough was placed with them to observe their attempts at domestication. The creature adopted the name Herman. Thus they became the Munsters. Try to tell me that is not a cool concept. One more I really like. Henry Jekyll’s formula did not work with way he thought it did. All it did was trigger his latent Therianthropy. This is a trait he would pass down to his offspring, many fathered as Mr Hyde. His decedents would include Bruce Banner and Ben Grimm. I’m sure many of you have noticed similarities to both Alan Moore’s The League of Extraordinary Gentlemen and Kim Newman’s Anno Dracula series. Both authors have stated that the Wold Newton Family was an influence. And all this just scratches the surface. You can spend hours going over all the details people have added to this particular academic exercise. Go here for the best web site resource I know of. Also check out the book Myths of the Modern Age which is a collection of articles edited by Win Scott Eckert. Now all we need to do is figure out which family tree Gibbs from NCIS belongs in. Last weekend I finally scored DVDs of Frankenstein, Dracula, and the Wolfman. These are the digitally remastered Universal 75th Anniversary series from 2004. I have wanted them for a while. I still need to get the Mummy, Invisible Man and Creature from the Black Lagoon to complete the set. You see this is all part of a grand scheme. I grew up a huge horror fan and this was a major part of my development into the fanboy I am today. I remember watching old horror movies, sometimes between my fingers or hiding behind the coach. The advantage of growing up before the cable network explosion, I could watch the classic on the old creature feature shows on the local TV stations. 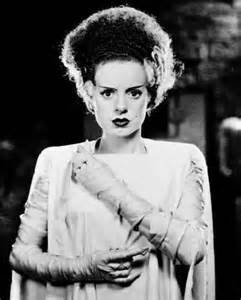 And there was nothing better than the classic Universal Monsters. So my plan is to start a periodic series of reviews of Classic Universal Horror. For those not as familiar with what I am talking about, here is a primer. The Universal Horror era is largely acknowledged to have started in 1923 with the release of The Hunchback of Notre Dame. When it ended is up to some debate, but I say it was 1958. Universal Studios was a struggling company in the early 20’s. I won’t get into all the details here but one of the things that saved the studio was signing Lon Chaney. The legendary man of a thousand faces became a huge draw for the studio. His performance and make up design for the Hunchback of Notre Dame thrilled audiences who had never seen its like. 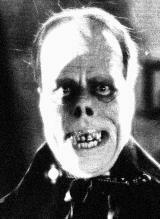 He followed it up with other great horror films such as The Phantom of the Opera and London after Midnight. Besides Chaney’s films Universal also had success with The Cat and the Canary and the Man who Laughs. The latter has added fanboy significance as its main character Gwynplaine served as Bill Finger’s chief visual inspiration for the Joker. One point of interest is that during the silent era none of Universal’s horror films had any actual supernatural elements, in fact no film from Hollywood did. They either featured characters that were disfigured or someone that was employing trickery to appear supernatural. That all changed in 1931 with the release of two films that changed film history, Dracula and Frankenstein. Now the supernatural and the inhuman were fair game. Both films launched horror franchises and made stars out of Bela Lugosi and Boris Karloff. The next two years saw the release of the Mummy and the Invisible man. The next great horror franchise did not come about until 1941 with the release of The Wolf Man Starring Lon Chaney Jr. With this the trinity of Universal horror was complete. To this day Frankenstein, Dracula, and the Wolf Man are ingrained images as horror icons, forever associated with Karloff, Lugosi, and Chaney. Throughout the 30’s and 40’s Universal set the standard for the horror genre, creating many of the tropes that have come to be associated with it. Creaking staircases, Cobweb infested castles, fields filled with mists, the secret passage behind the bookcase and mobs with pitchforks and torches, all were introduced, or at least made popular, by Universal. By the end of the 40’s Universal’s desire to milk every last drop out of their horror franchises seem to have spelled the end of them. The release of so-called Monster Mash movies where Frankenstein’s Monster, Dracula and the Wolf Man all appeared, while still popular, seemed to be the final curtain for the classic monsters. 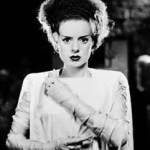 With the release of Abbott and Costello Meet Frankenstein the trinity of horror icons was retired. But Universal Horror was not done yet. In 1954 the last great Universal Monster was unleashed, The Creature from the Black Lagoon. A total of three Creature films were made in the 50’s. However even the coming of the gill-man could not keep the franchise going and with the release of Monster on Campus in 1958 the Universal Horror era ended. But the influence did not. 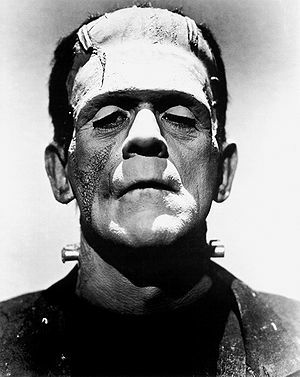 Think about it, when someone says Frankenstein, what image comes to mind. I’ll bet it isn’t the creature design Christopher Lee wore in the Hammer Horror films, or Robert DeNiro’s version. Our expectations of these iconic characters have been formed by Universal and are the widely accepted version. And Universal has not forgotten this. They make periodic attempts to revive the Universal Horror franchises. While none have been the restart the studio hopes for, one cannot help but figure it is just a matter of time. Universal is still the name that will forever be associated with classic horror. Going forward I will start the actual reviews of specific movies. In these reviews I will go over what makes the movie work, what are its flaws, how well they hold up over time, and what influences it has had on pop culture. These will be spaced out as I need time to review the movies and I don’t want them to dominate the blog. Also I need to track down copies of more of the Universal Horror catalog. But I will leave you with this, first up will be Frankenstein.